Happy summer, everyone! As you may already know, I’m pretty low-key especially in the summer with my makeup. For me, natural and dewy is always better, with light coverage and pretty skin. For the eyes, I like to stick to something more fun and glittery but still on the natural side. 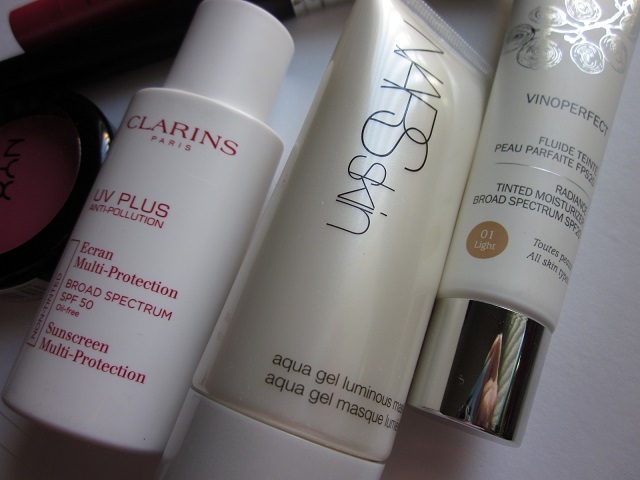 I tend to focus more on skincare stuff, like masks, sunscreens, and face mists as well. However, this summer, I’ve been happy with a lighter and more compact routine and I wanted to share that with you today. This versatile mask is a “intensive hydrating mask for smoother, softer, more plump-looking skin.” While you can use it at night as a sleeping mask over your nighttime skincare routine, sometimes I use it during the day as a 5-10 minute treatment that I leave on while I’m brushing my teeth. Sometimes, depending on what my skin needs, I’ll apply a thin layer in place of my morning moisturizer to plump and re-hydrate my skin. You can read the review here if you’re curious. I haven’t officially dedicated a post for this tinted moisturizer yet, but it’s quickly climbed its way to the top of my foundation/base/BB/CC/tinted moisturizer list. I use the shade Light 01 and it’s a great product to use in the summer. 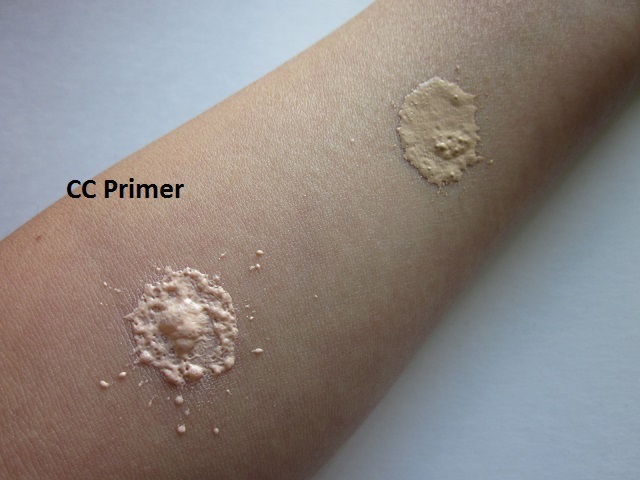 As a “three-in-one tinted moisturizer that corrects, perfects, and provides light makeup coverage and SPF 20 protection,” this product’s “mineral pigments cover skin imperfections, leaving you with a smooth, even complexion so that over time, spots become less visible, and the skin is more beautiful.” It smells wonderful, feels lightweight, absorbs quickly, and looks natural on the skin. Coverage is minimal but I like the glowiness it provides. This brush is an oldie but a goodie. Not only is it great for powder products, but creams and liquids work better with this brush as well. I use this for cream blushes (like the NYX one) and even to apply my base makeup such as foundation/tinted moisturizers/BB/CC creams. Additionally, it’s great for concealer if you need to cover bigger areas on your face. I’ve read that some people use this brush to contour, so clearly, it’s a brush that you can use for a variety of stuff. It’s small and compact but can reach all the contours and nooks of your face; at the same time, the duo-fibre allows for a seamless application. The shade “Lovely” is a “watermelon pink” that’s absolutely perfect for the summer months. It’s a warm pink shade that isn’t too bright and a step up from being considered natural. 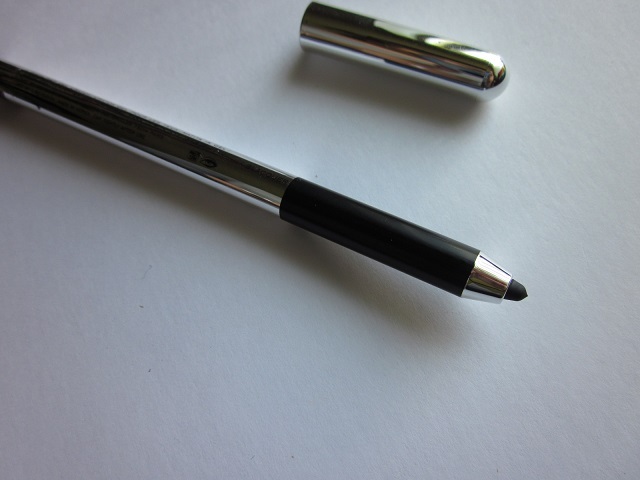 It’s glossy and easy to apply because of the pencil-design, so it’s ideal to carry this around in your purse. Described to be a “moisturizing lip stain,” I love that this does both — moisturizes and stains the lips in a reasonable way. The finish is shiny and glossy and the color is so pretty. It goes with everything and you can wear it all year as well. What are some of your summer must have’s/favorites? 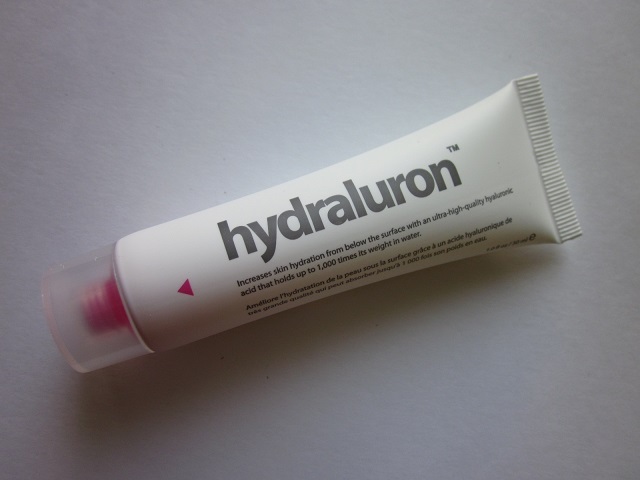 In the past I’ve read about the Hydraluron Moisture Serum because all the UK beauty bloggers were using it. Recently, I found the range (by Indeed Labs) at my Ulta and jumped at the chance of giving it try. I found it to be fairly priced, well-packaged, and worked perfect for the summer time. Because I wear a sunscreen on my face everyday, I need to have something lightweight beneath it. 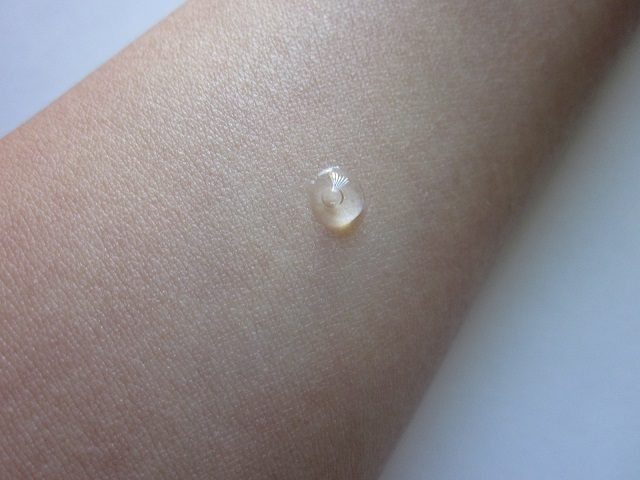 Sticky or thick face creams are reserved for night time use only in my book, but at the same time, retaining moisture is still important for my during the day time. 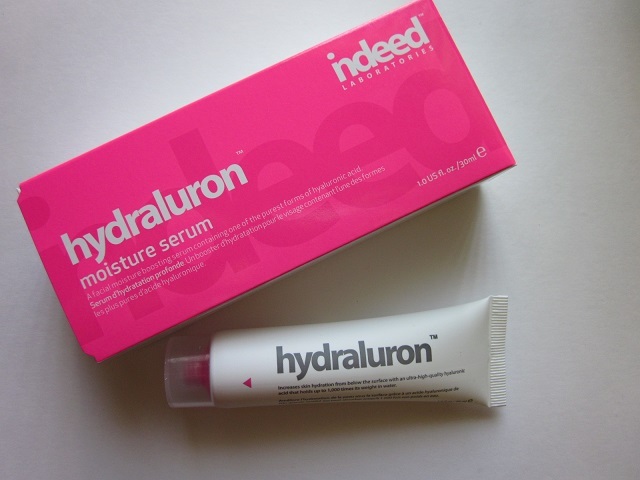 The Hydraluron Moisture Serum “helps moisture levels in your skin. This is the ultimate daily facial serum for moisturized skin. This contains a pure form of hyaluronic acid, an incredibly hydrating ingredient that holds up to 1,000 times its weight in water. Red marine algae helps provide maximum delivery.” The great thing about this is that I like to wear it alone right before my daytime sunscreen, and my skin feels hydrated, moisturized, and plumped up. Additionally, this serum “uses hyaluronic acid that is 100% free from animal-derived raw materials and organic solvent remnants for maximum skin benefits.” It give your skin a daily dose of hydration and feels so lightweight on the skin. The texture of this serum is like a jelly. It smooths on easily and absorbs pretty instantly, which I really like. Once absorbed it doesn’t feel like anything. I like this so that I can immediately apply my sunscreen and then makeup. My skin doesn’t necessarily feel an instant boost of hydration or anything, but I’ve noticed that it feels more comfortable and looks more plumped in general. Because it’s not creamy or anything, I feel like sometimes I’m wondering if it’s actually doing anything. However, when I don’t use, I feel that my skin doesn’t look as plumped and healthy. I especially find that after chemical peels, my skin feels great when I use this serum. I like how it doesn’t feel like anything and it’s very soothing on the skin. In some cases, I’ve applied this to other dry areas of my skin. Sometimes after I shave my underarms, the skin feels irritated and dry. TMI, lol. I just apply this and I can apply deodorant on top, so I like that this product is quite versatile. I’ve also found it to be soothing on mosquito bites as well. I can’t say that I feel that this is a life changing product or anything like. I also can’t say that it’s a product that I deem absolutely necessary or life-changing; however, I like using it and I feel that it’s help my skin in more ways than one. I don’t think I’ll be repurchasing or anything, but I think it’s a nice budget-friendly product. If you’re looking for a nice, good-quality serum that isn’t expensive, I’d suggest checking this product out. I’ve been hearing a lot about the new Too Faced Love Flush Long-Lasting 16-Hour Blushes, so naturally I was immediately out looking for them. Long-wear blushes are necessary for summer; but realistically, I think no blush can really stay on your skin for 16 hours! 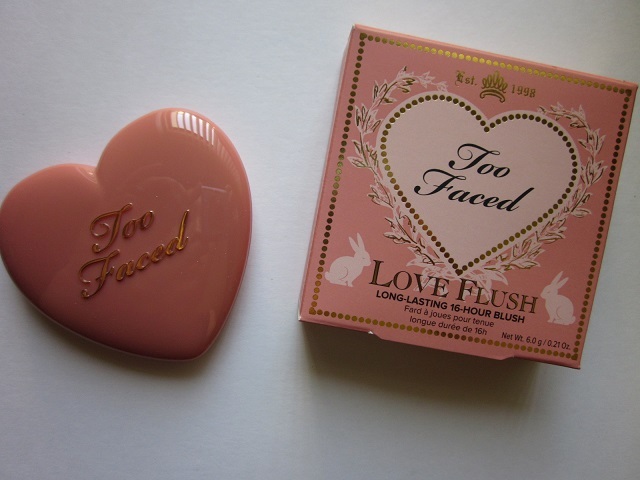 I found that the Too Faced Love Flush Blushes were truly long-lasting, which was a pleasant surprise for me. 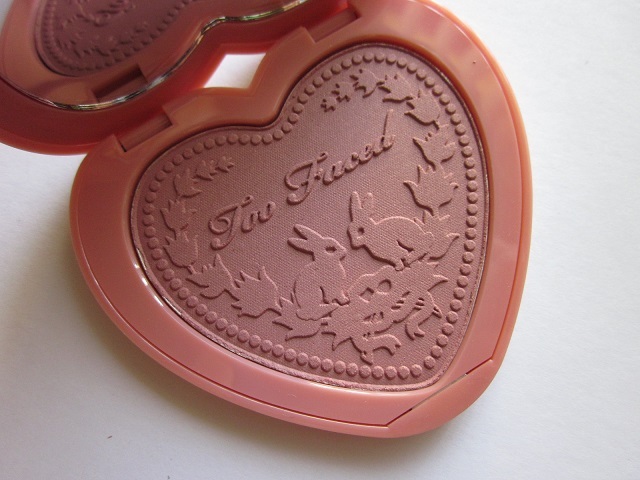 After reading about the shade “Baby Love” on a variety of beauty blogs, I chose this one as my first blush and will definitely be returning for different colors. The shades available are not that wide ranged; however, it does cover all the basis such as having pinks, peaches, corals, and rose tones available. I think later on I’ll purchase one of the pinkier shades. I felt that the product was truly long-wearing. Even in the Texas heat, the color stayed on despite humidity and sweat. 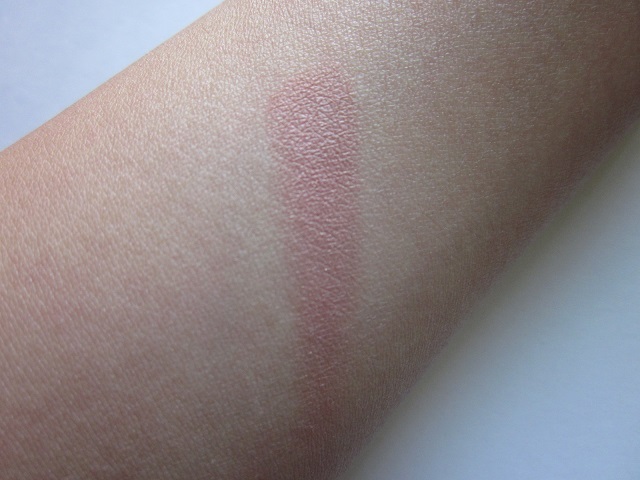 It blends nicely and is pigmented enough to show some real color. It’s buildable, which I’m more comfortable with since I tend to wear my blushes on the subtle side. I think the packaging is pretty and the quality of the product is nice too. I like that the compact is heart-shaped, but I also like that it’s flat too. 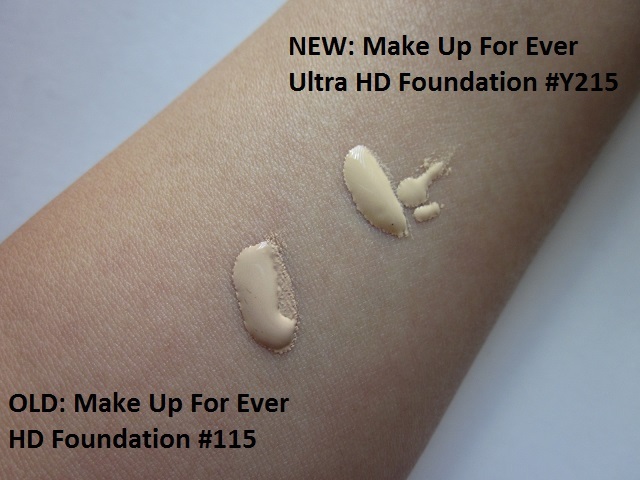 As many of you may have already realized, Make Up For Ever has released their newest HD foundation called the Make Up For Ever Ultra HD Invisible Cover Foundation. 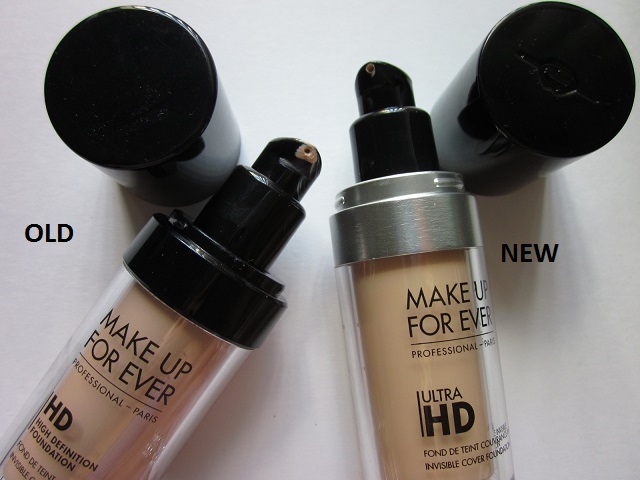 The packaging is very similar to its original Make Up For Ever HD Invisible Cover Foundation reviewed here. The silver band that goes around the packaging just under the cap signifies the newest HD foundation addition to the range. In the old formula, I was shade #115 and it was a really good match. 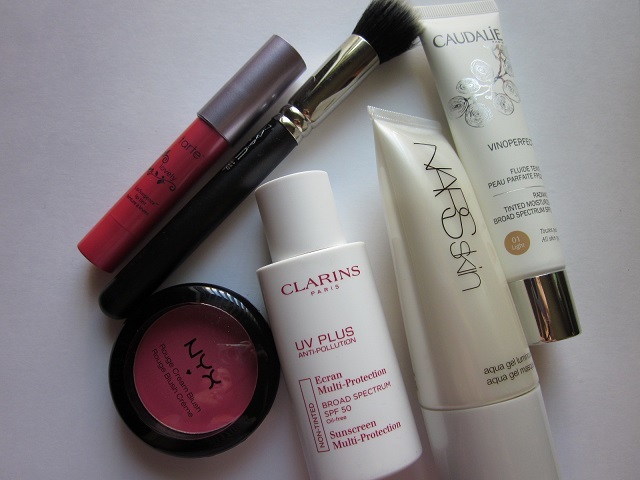 Mixed with both pink and yellow undertones, it balanced out my complexion really well and also help up really well too. 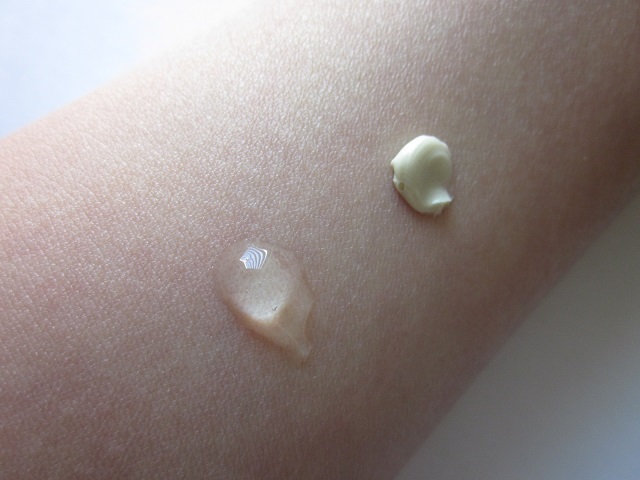 The natural-ness of a medium coverage foundation was really impressive. Some differences right away with the new formula is that the color range has changed and re-named. I don’t think they translate exactly from the previous shade to the new shade. I chose the shade Y215, which is the “Yellow Alabaster” shade in the new formula. As you can see, it’s yellow-er than #115 but not by much. It also seems less runny than the original formula, which was something that I liked about the old version. The texture of the Ultra HD is much thicker than before, but it’s not that thick compared to other foundations. It still blends nicely and looks natural on the skin; it also fills in pores really well, doesn’t accentuate fine lines, and evens the complexion instantly. The other shades before Y215 were much more pink than the previous formulas and it would’ve been impossible for me to use them. 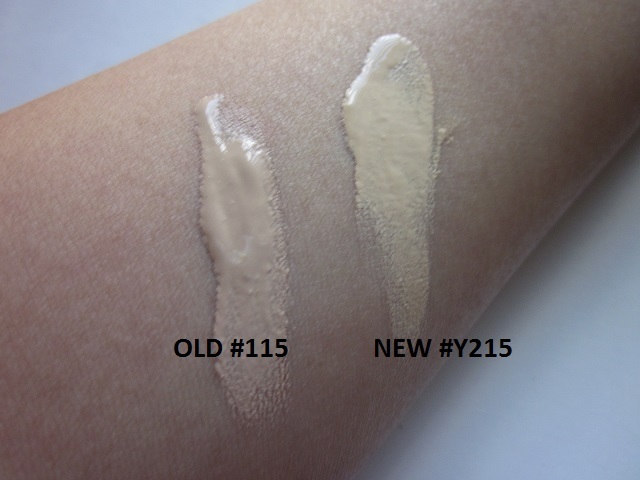 I don’t feel as happy with Y215 than I was with #115, but the difference is subtle on my skin. The Ultra HD is nice and feels nice, but I honestly prefer the original formula. Maybe it’s the color-match or maybe it’s the runnier consistency that I prefer in foundations. Both work nicely, but I think the previous version wore better and lasted better on my skin when oil broke through. 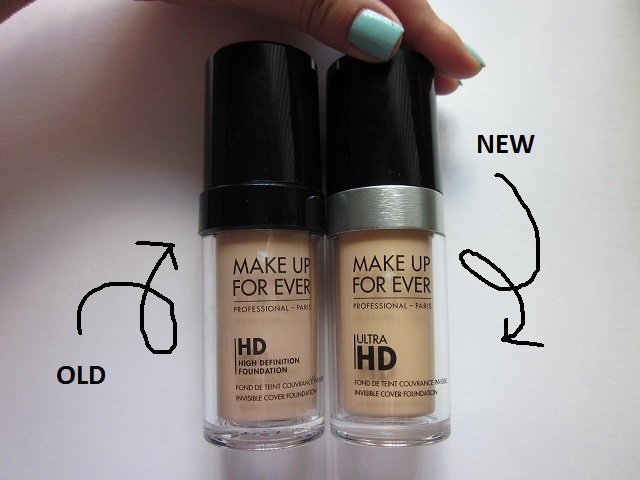 The new Ultra HD seems to adhere well to the skin, but I don’t really like the super-matte, dry look and I felt that that’s what this foundation did. As for HD results, I’m not an actress and there’s no reason for me to be on stage or anything — let alone be photographed in HD all the time, lol. The real-life results are nice on the skin, but I feel like I have to do extra work to get it look more dewy and natural. I’m back on my face mask kick. I was busy using up what I had already owned, and the process made me feel like “masking” at night was an essential part of my night time skincare routine. While it’s hard to keep up with a strict schedule with so many different face masks, I think my skin really benefited from all the extra attention. Since using up a few products, I was eager to venture out again in addition to re-purchasing key items. 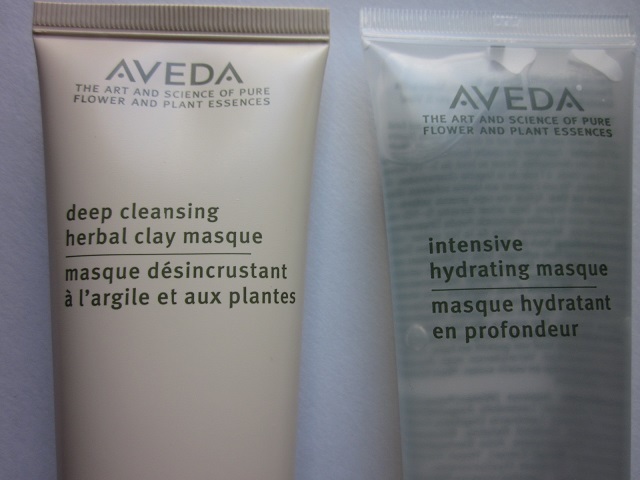 I came across the Aveda Intensive Hydrating Masque and the Deep Cleansing Herbal Clay Masque, and I feel very strongly for Aveda products now. The Intensive Hydrating Masque “gives soothing relief to skin suffering from excessive dryness, stress and exposure to the elements.” Aveda’s “intensely-hydrating, oil-free masque contains potent, plant-derived humectants.” In addition, it “cools and rehydrates with a surge of moisturizing aloe, kelp and lavender, [and] calms [skin] with rosewater.” The Deep Cleansing Herbal Clay Masque is a mask for all skin types. The “cool, aromatic masque absorbs excess oils and draws impurities from skin with our unique blend of clay. It leaves your skin clarified, conditioned and refined.” Personally, I like to use these masks together. I’ll apply the Deep Cleansing Herbal Clay Masque to my t-zone, which consists of my forehead, nose, and chin; and, then I’ll apply the Intensive Hydrating Masque to just my cheek areas. I don’t like my cheeks feeling dry, but more importantly, I like to give my skin what it really wants. Since I need a mask that deep-cleanses, moisturizes and tones my t-zone, I stick to a product that will deliver that. While the mask is working, I give my cheeks something that will soothe, cool, and calm the skin’s surface. In both cases, I feel that I can knock out two tasks in one sitting with two different products. My skin’s moisture levels increase, the products both leave my skin soft, smooth, and healthy-looking. Overall, I really enjoy these masks and find them to be very effective. I don’t use these masks sparingly. I slap on the clay mask thick and I gloop on the hydrating mask pretty thick as well. I like to leave them both on for a good 30 mins or so before jumping in the shower. On nights where my skin is really feeling sensitive, inflamed, or just dry in general, I apply the mask all over my face. It’s done wonder for days after the pool when my skin has been feeling overheated. For the fair price, I think you get exactly what you pay for. They’re easy to travel with, use, and share with others. The masks do their jobs well — even though the effects are temporary and minimal. I wouldn’t expect drastic miracles with the products, but when my skin needs a good clay mask and hydrating mask, the two products are great. 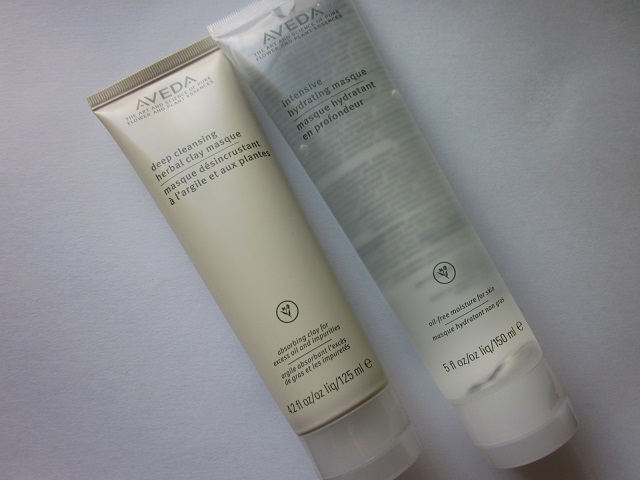 In general, I’m interested in my Aveda products. I’ve purchased the Shampure Shampoo and I really like it so far. The ranges featured at Aveda can get pricey, but I feel that they have a cult-following for a reason. The products speak for themselves, and since I’m picky with skin products, I’d say it’s a good thing if I’m already really into the masks. The reviews are good and they seem to carry a variety of products for different needs and concerns. I recommend the Intensive Hydrating Masque and Deep Cleansing Herbal Clay Masque! Item contains 5 fl oz. I usually skip bronzers in general for my face. Occasionally, I’ll use something if I’m in the mood to contour my nose slightly, but since it’s not an every day kind of thing for me, I opt to apply bronzey colors on my eyes instead. During the summer months, I like effortless, simple makeup that allows me to look put together. When I’m feeling the eye shadow vibe, I normally lean towards neutral shades with a bit of pop for a fun, summery feel. Because I live in Texas, formulas that are long-wearing in general are more useful. 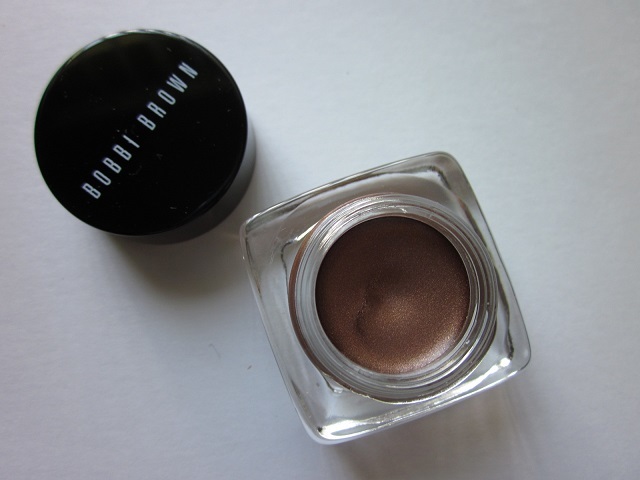 For this reason, I’ve been a long time fan of the Bobbi Brown Long-Wear Cream Shadows. 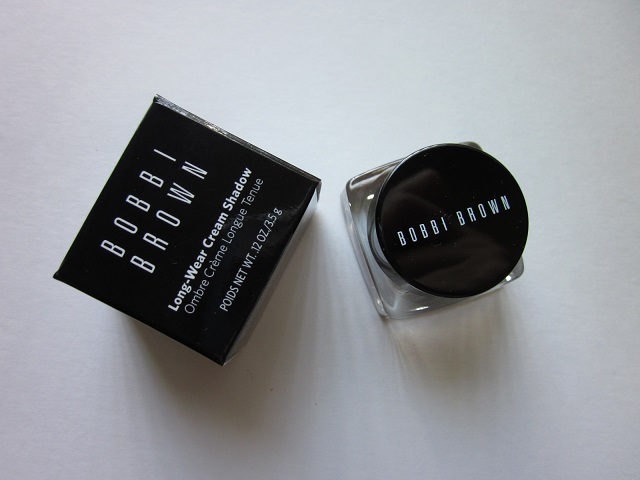 The Bobbi Brown Long-Wear Cream Shadows are designed to stay on the lids, and doesn’t crease while maintaining its true color. The formula of the shadows are of soft-blending formula that goes on comfortably and has a soft, velvety finish. Additionally, it applies smoothly because the texture of the shadows are soft and creamy. It glides onto the lids and blends nicely with a small, synthetic blending brush. Sweeping the shadow with a Sephora Pro Shadow Brush #14 helps to apply the color and then blend simultaneously. The shade “Beach Bronze” was my summer color of choice. 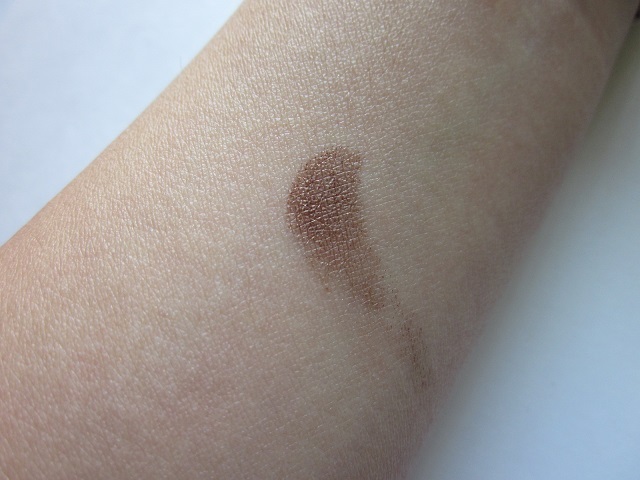 It’s a perfect blend of golden brown mixed in with subtle shimmers that are both bronzey and warm brown tones. It can pass for a neutral color if applied sheerly, but you can also really pack it on for my dramatic effects. Because the formula of the Long-Wear Cream Shadows are indeed long-wearing, there’s no need to apply primer underneath. Sometimes I’ll add a darker shade in the outer corners of my eyes for a smokey effect, but generally, this shadow does fine on its own. If you’re looking to start playing with cream eye shadows, I’d say this is a good starting point. They’re long-lasting on the eyes and in your collection as well. I haven’t had any experiences with the pot drying out too fast or anything like that. I just close the pot tightly and store them with my other makeup and I haven’t had any problems with them. I also suggest getting the Sephora brush mentioned earlier because it helps with working with the cream eye shadows. Sephora Brush #14 retails for $20.00 USD. I wanted to personally reveal that I’m getting married in about 7 months. For this reason, I find myself justifying unwarranted makeup purchases with the excuse that I’m getting married — therefore, I need ____. Lol. While I don’t need anymore foundations or base makeup, it doesn’t hurt to find the perfect “photo ready” foundation for my big day — in addition to other days as well, right? 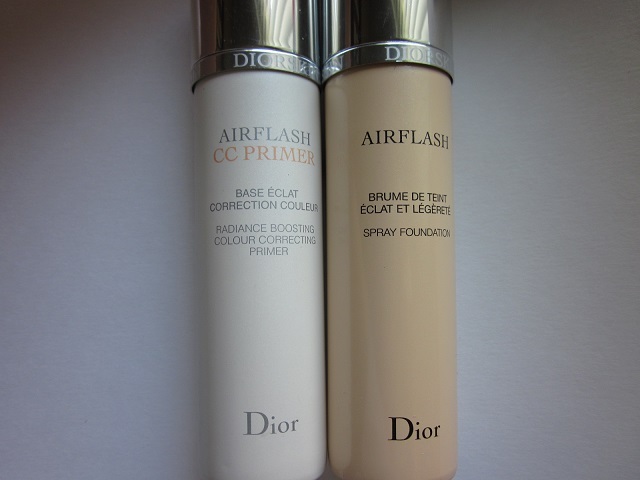 :) Recently, I purchased the Diorskin Airflash Spray Foundation along with the Airflash CC Primer Radiance Booster Color Correcting Primer. Even though it’s a bit early to be thinking about what makeup I’ll be wearing on my wedding day, I figured since makeup is an important hobby of mine, it wouldn’t hurt to start experimenting, right? The Diorskin Airflash Spray Foundation is an “ultralight foundation that delivers an airbrushed effect with precision and ease.” To achieve the “runway-ready look,” this spray foundation is marketed as an “innovative mist foundation inspired by the airbrushing techniques used backstage at fashion shows.” Additionally, “the unique micro-diffusion system [is said to] deliver a fine mist of foundation to provide a soft, velvety complexion.” The enclosed directions suggest to spray the foundation directly to the skin, just like you would mist your face with finishing spray. However, because the foundation travels and settles onto your hairline, eyebrows, and neck, I’ve found that it’s much easier and safer to spray a blob onto my hand. Then, I apply with a damp Beauty Blender sponge. Airflash Spray Foundation also claims that you can “customize your coverage by choosing to apply straight from the can for a lighter finish, or with a Kabuki brush for fuller coverage. Mother of pearl pigments even skintone and diminish the appearance of skin irregularities and fine lines, leaving your skin glowing with optimal radiance.” The glow factor is definitely visible, which I really like since I don’t ever prefer a truly matte finish. The formula is incredibly long lasting and definitely stays put. Coverage is buildable and easy to adjust since I dab my foundation on with a damp Beauty Blender sponge. The primer disappears into the skin pretty instantly. It doesn’t take long to absorb because it’s pretty instant. Additionally, when you apply the foundation on top, you don’t disturb the previous layer of primer underneath. Together, the products work to keep your makeup looking and feeling fresh. Glow factor is visible, but isn’t too strong so you won’t look greasy or oily. And, your pores and lines are pretty much all blurred away. Love. You can “use [the primer] under foundation to set and hold, or alone for a radiant glow. 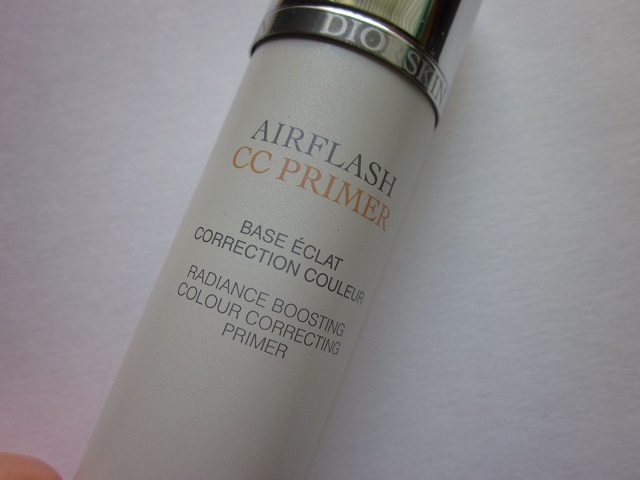 This product can be used with Dior Foundation or any foundation.” It works nicely on its own, which I like since I don’t like to pile on product after product. I’ve also found that the foundation can hold up on its own without the fancy primer. 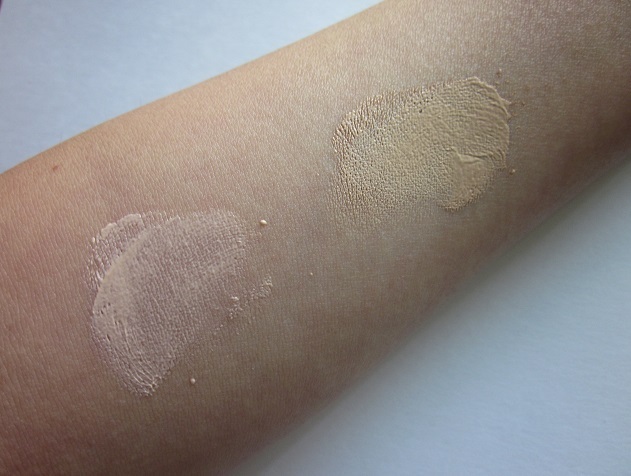 My shade is Ivory 100, which is pretty much the standard shade I go for in Dior foundation. In the past, I haven’t had the best of luck with them, but I’m finding that this new way of applying foundation may be the best option for weddings next to airbrush. I’ve tested the foundation out in humid, hot conditions; and, I’ve worn it on nights at both casual and crazy like a bachelorette party. In all cases, the foundation help up super nicely and oil breaks through pretty minimally. 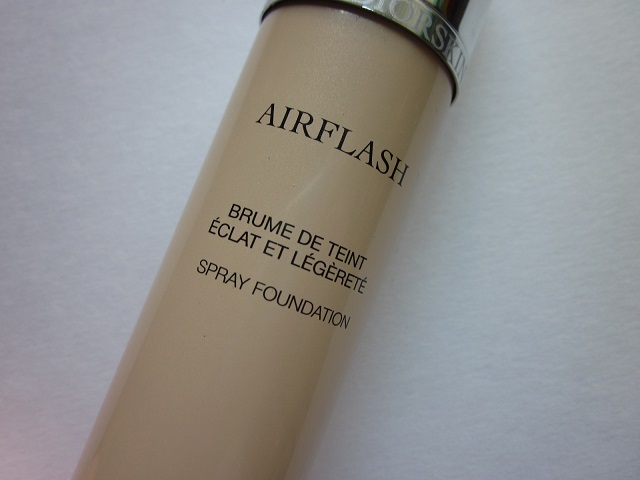 I think this is a great special occasion foundation, since it perfects and covers the skin so nicely. I don’t see myself reaching for it any other time though. What are your thoughts? A good eyeliner can be life-changing. It sounds dramatic, but in reality, the moment you realize that you can be panda-eye free, there’s something really comforting about that! For the last few years, I’ve abandoned eyeliners in general because I was tired of it never staying put. From low-end to high-end, I’ve tried a variety of eyeliner — all with the claims that it was going to be waterproof, smudge-proof, tear-proof, sweat-proof, etc. In a surprising twist, my future sister-in-law recommended the Marc Jacobs Beauty Highliner Gel Eye Crayon and I’m so glad she did. 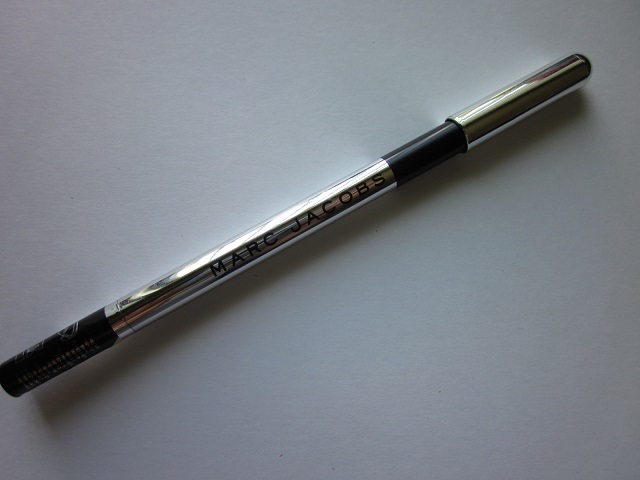 The Marc Jacobs Beauty Highliner Gel Eye Crayon in “Blacquer 42” is a standard black eyeliner that is a “waterproof gel crayon eyeliner that’s long wearing with intense color payoff.” This “extreme-wear, waterproof eyeliner” is nearly bullet-proof. I don’t say these things lightly since I feel that I’ve pretty much tried all kinds of eyeliners out there. Before this one, my favorites were from Urban Decay and NARS. This eyeliner stays put. 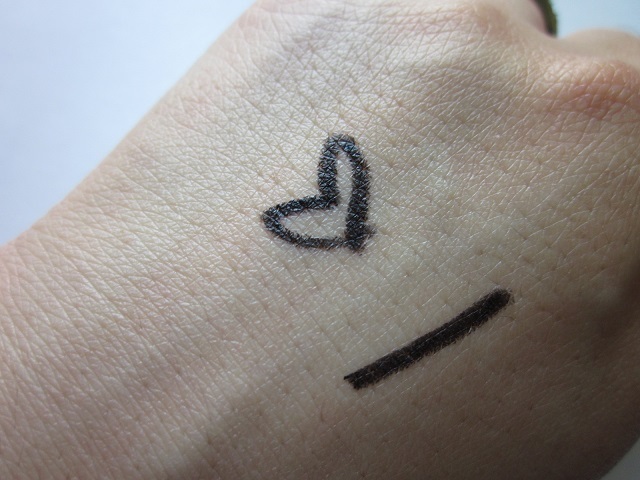 Even with water and soap, the swatch on my hand didn’t budge. When I was testing them at Sephora, even their waterproof makeup remover barely a made a dent in removing this product off my skin. As a contact lens wearer, this made me wary. However, because it stays exactly where you apply it, it doesn’t even creep into sensitive parts of my eyes; and thus far, I haven’t experienced any discomfort or irritation. In addition, the intensity of this black eyeliner is pretty insane. It’s not a flat, matte black which makes it easy to wear since it won’t look like you drew your line on with a marker, lol. This is perfect for nights out when there’s dancing and sweating — I’m thinking this will last all night too. Like foundations, I think eyeliners are another really personal item. Not all eyes are created equally, so it’s best to search for something that works for you, your needs, and more importantly, your eyes. I was tired of product transfer, because in the past, no matter what eyeliner I’d use I was always plagued with panda-eyes. The liners would always smudge even with the slightest of humidity in the air. 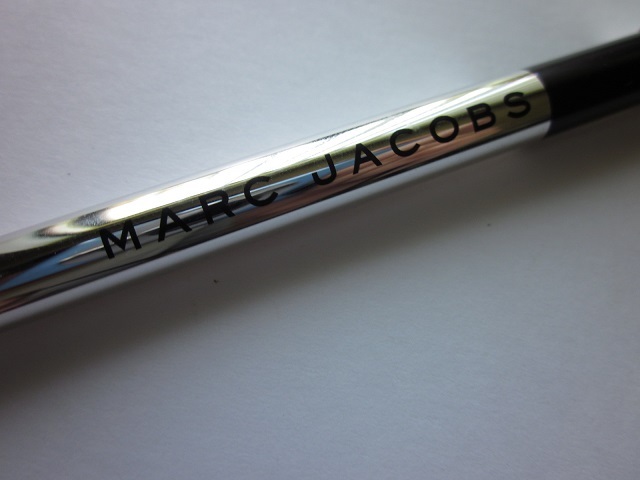 If you’re an eyeliner persona and you need it as a part of your regular routine, I’d suggest giving the Marc Jacobs one a shot. There’s a ton of colors to choose from. To remove, I use the Neturogena Eye Makeup Remover and I haven’t had any problems with it. Since I was follow-up with a cleansing oil to remove my makeup, I don’t find this eyeliner difficult to work with.